Archie Comics Wanted to Make a Mario Comic? If you’re a fan of the Sonic the Hedgehog series, you probably know how big the comic adaptations are. Created as a tie in to the Sonic SatAM cartoon back in 1993, they’re popular with much of the series fandom and and are well known for all the new characters and storylines they introduce as a result. But did you know that Archie Comics was planning to make a Mario comic too? Or that they actually pitched one to Nintendo? Unfortunately for some Mario fans (and as confirmed by Archie’s Ian Flynn), Nintendo turned them down and the idea was scrapped. Still, what do you think? 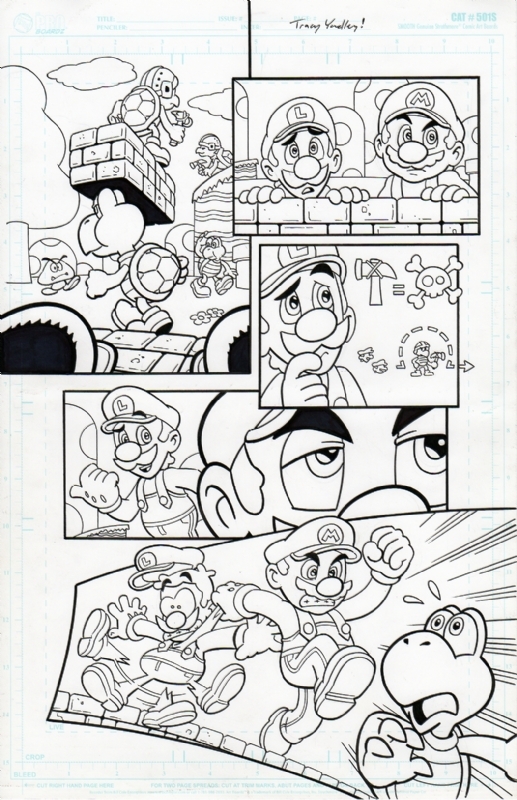 Would you have liked to have seen a Mario comic by the same people behind the Sonic the Hedgehog and Mega Man ones?